The face of cybersecurity in today’s world is constantly evolving across a growing attack surface. Enterprises are quickly reacting to properly fund their cybersecurity programs while identifying and retaining highly qualified staff. Failure is not an option when it comes to cyberattacks. Just ask the growing number of victims from Home Depot to Target to BlueCross BlueShield to Wells Fargo to the Office of Personnel Management. The average data breach costs $3.86 million globally and $7.91 million in the United States while taking companies 197 days to simply identify a breach and 69 days to contain it according to IBM’s 2018 Cost of a Data Breach. Most importantly, it takes organizations years of work post-breach to regain the credibility lost with their current and future customers, all the while working to protect against another breach. Large-scale cyberattacks and major data breaches or fraud are among the top five most likely risks for organizations over the next few years. Every enterprise is a target, from government agencies to corporations to financial systems to the aviation, medical, and energy sectors. Even the movie companies have been targeted for everything down to the release dates, cast, and scripts. The technology in automobiles on the road has exponentially grown but no one wants to purchase or ride in a vehicle that can be controlled remotely by an unauthorized party. Our everyday lives revolve around data, technology, and their availability to positively increase our way of life. Cybersecurity requires innovative and continuous security services to manage risk and improve overall security posture. The CVP cybersecurity practice embodies this requirement through our ‘Predict. Prevent. Protect.’ approach built upon our four core values: Intense Client Focus, Mutual Respect, Individual Responsibility and Growth, and Uncompromising Integrity. CVP’s structured cybersecurity practice delivers service across five competencies that allow for continued maturity growth: Security Operations, Cloud Security, Security Automation, Risk Management, and Cyber Defense. Talented cybersecurity professionals specialize in areas from security authorization to identity management, insider threat, and penetration testing services. Our cybersecurity program management techniques employ lean, streamlined operations and provide the ability to dynamically manage competing and changing priorities in budget constrained environments. The success of CVP’s cybersecurity practice and the “Predict. Prevent. Protect.” approach is defined through several innovative approaches, including harnessing the power of machine learning and automation with our “Anticipate. Automate. Prevent.” Model. 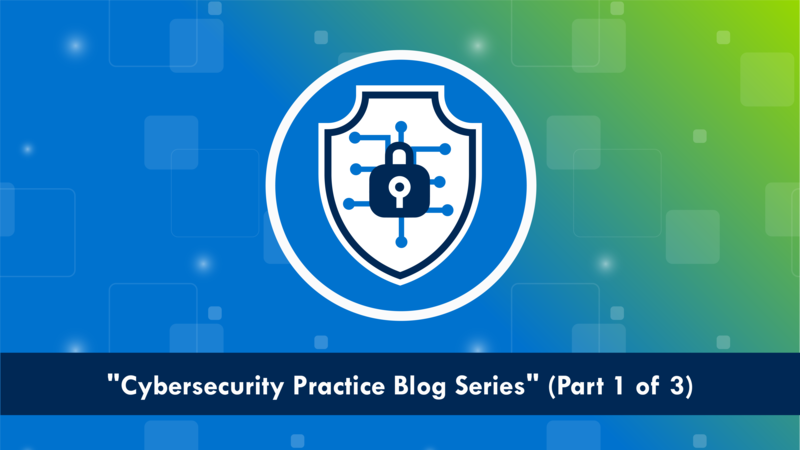 The cybersecurity practice also creates a framework for continuous improvement through ChatOps platforms, automated security assessments, and CVP’s Cyber Delivery Range. We will be discussing those approaches in depth in our next two blog posts in this series. Stay tuned for the second part in this series: Harnessing the Power of Machine Learning and Automation in Cybersecurity.